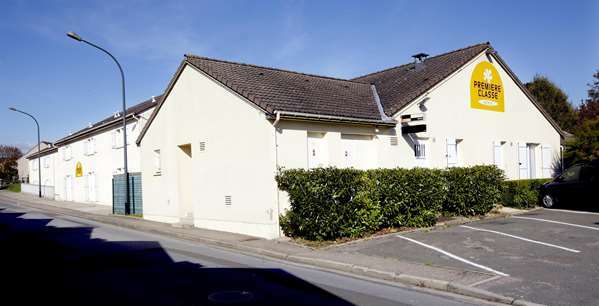 Hotel Première Classe Rouen Nord - Bois Guillaume is the only budget hotel located on the right bank just half a mile from the Vatine de Mont-Saint-Aignan, and a mile from the universities and highway A28. 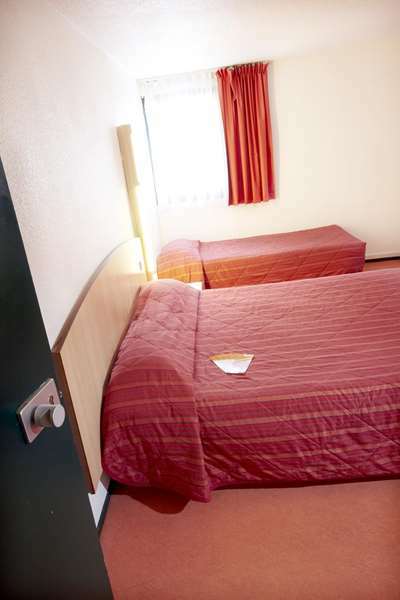 Ideally located about a mile-and-a-half from the Rouen city center, near the historic district and the train station, our hotel provides you with excellent comfort and value for your money. 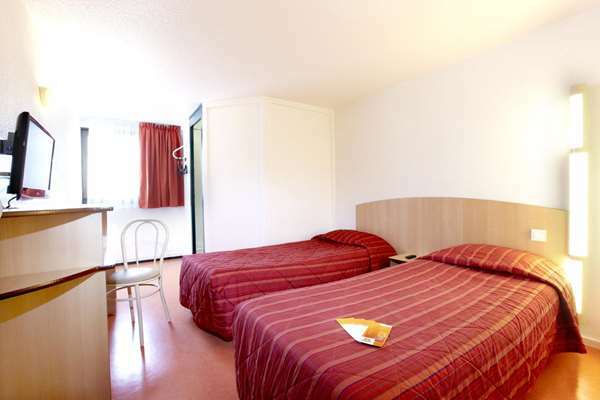 Our budget Hotel Première Classe Rouen Nord - Bois Guillaume is conveniently located so you can visit the city and it's monuments: Notre-Dame-de-Rouen Cathedral, the Gros-Horloge district, the Palais de Justice dating from the end of the Middle Ages, the Old Market Square where Joan of Arc was burned at the stake, the Old Rouen and its half-timbered houses, the Church Saint-Maclou and the Saint-Ouen de Rouen Abbey. 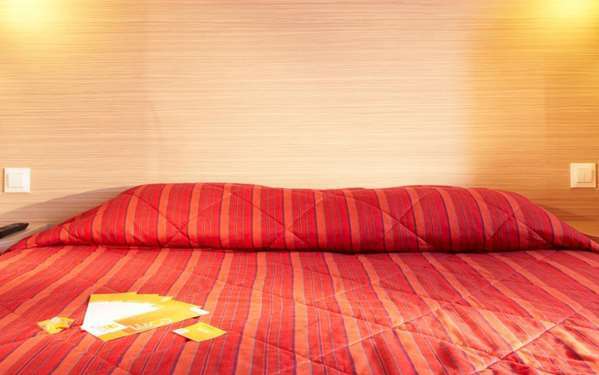 Whether you're here on business or as a tourist, you will find many restaurants and shopping centers near the hotel to facilitate your stay. 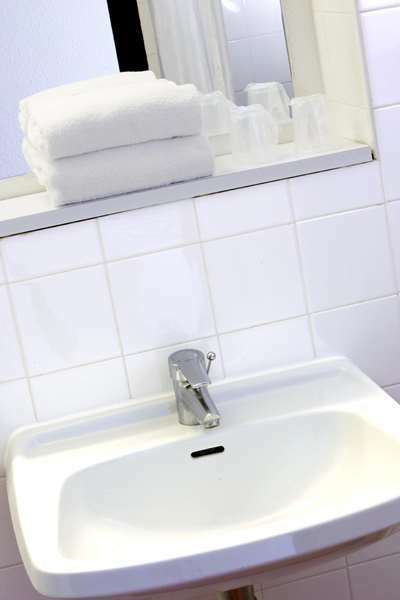 Our 43 non-smoking rooms have large en suite bathrooms with toilet, sink and shower. 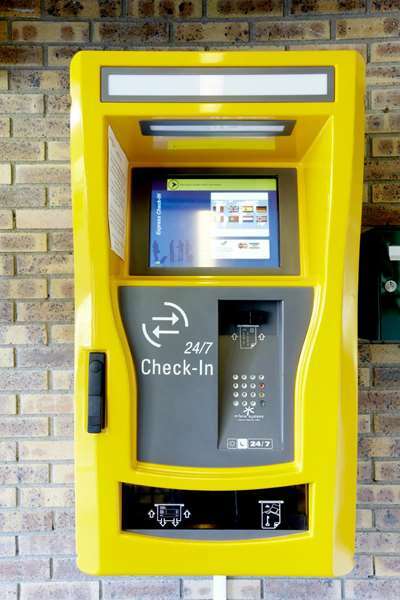 Reception services are available 24 hours a day with the help of an automatic reception terminal located at the entrance to the hotel. 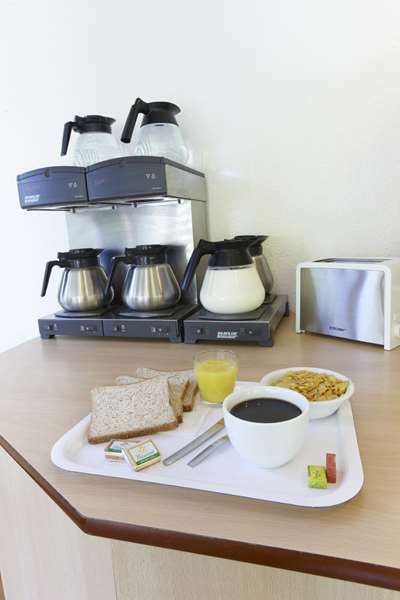 Our budget hotel offers a single price for rooms accommodating 1, 2 or 3 guests. 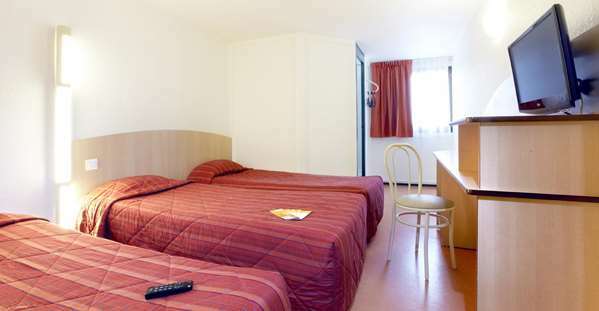 For large families, we also offer connecting rooms. Served in beautiful veranda overlooking a sunny garden, our all-you-can-eat breakfast buffet with high quality bread and pure Tropicana fruit juice is a must! 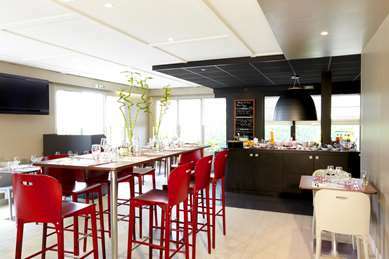 You will get a 15% discount on your lunch and dinner meals at Campanile Restaurant, located under a mile away. 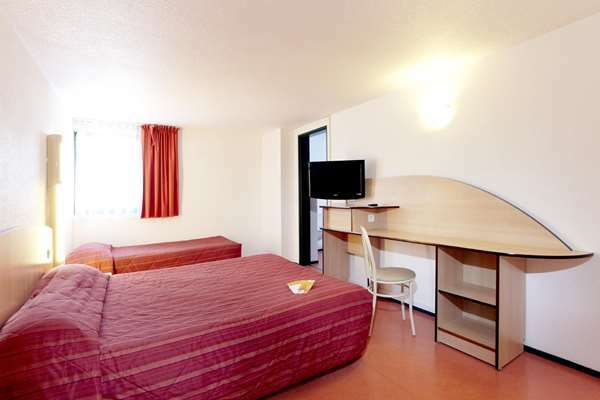 All our 43 non-smoking rooms have a large desk and free Wi-Fi Internet access, as well as new flat-screen televisions with Canal+, CanalSat and TNT channels. 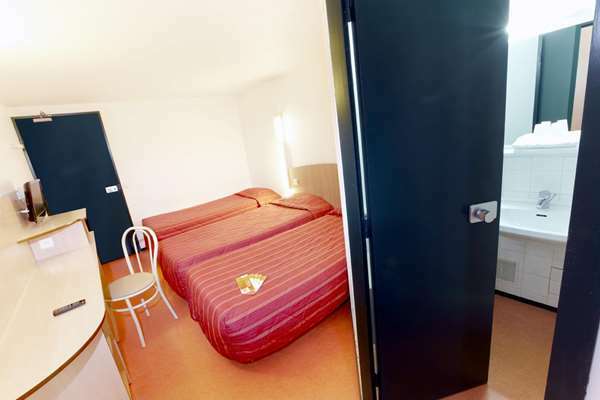 Hotel Première Classe Rouen Nord - Bois Guillaume offers bright, quiet rooms with large windows and private bathroom with toilet, sink and large shower. Our comfortable bedding is made up of Bultex mattresses and fluffy pillows for your sweetest dreams. 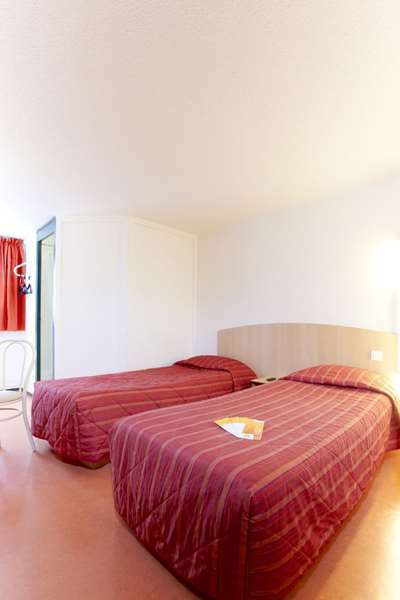 We offer double rooms, twin rooms (with 2 single beds), and triple rooms, with separate beds or not. 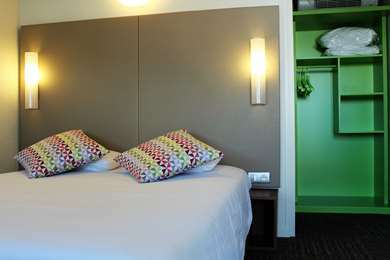 And large families can opt for one of our connecting rooms for 4, 5 or 6 people! 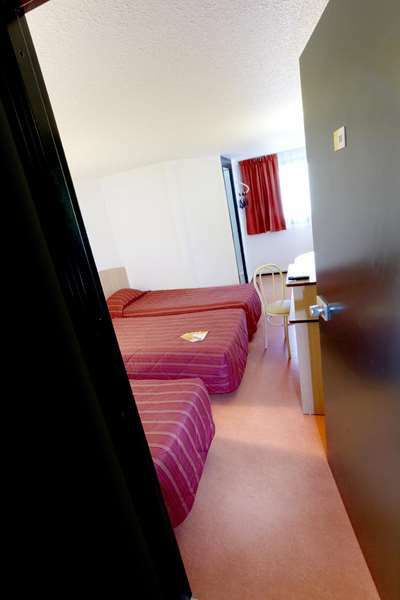 We also have wheelchair accessible rooms with easy access from the indoor parking. 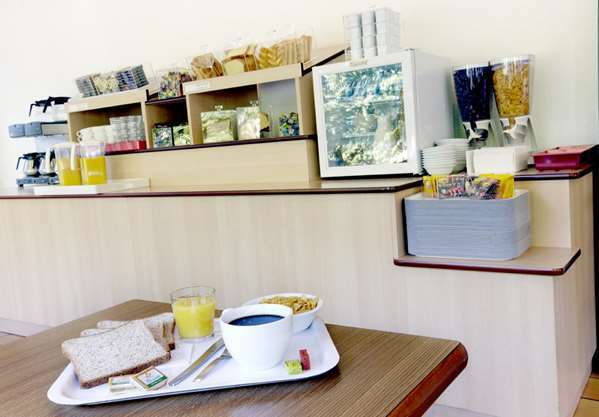 Fill up on energy with the all-you-can-eat breakfast buffet at Hotel Première Classe Rouen Nord - Bois Guillaume served from 6:30 am to 10:00 am weekdays, and 8:00 am to 10:00 am on week-ends and holidays. Poor sound insulation and overcharged me for (rather poor) breakfast! 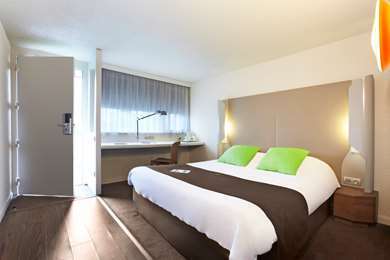 Booked a double room for 2 people on a Promoholiday deal which included breakfast. 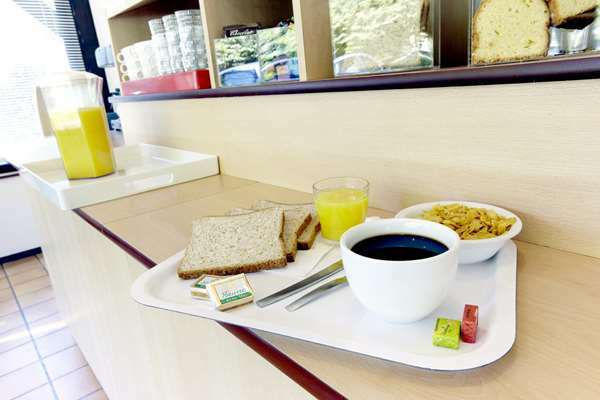 When arrived was told (to my surprise, since had used this deal many times before at other Premiere Classe hotels) that only 1 breakfast was included and I had to pay for the other! I paid up, else there would be just one of us eating! 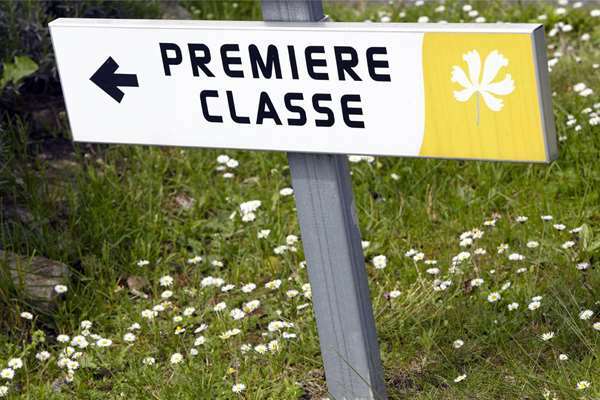 Later I complained to Premiers Classe, and sure enough, both breakfasts were actually included in the Promoholiday deal. Breakfast pretty poor and was running out of items unless you were early. Walls very thin with little sound insulation - made for a very noisy hotel and a bad night's sleep. This is all a shame as the hotel has had a refurb since my previous visit and is not badly positioned. However, due to the less-than-honest management tactics etc I'll never stay here again. I couldn’t decide whether to leave a 3 or 4 * review...it was close! We stayed here for 1 night with our 18 month toddler on the way to the Vendée. We paid €45 for the room plus €5.80 each for breakfast. The staff on reception were excellent and friendly, although outside of peak hours there is a machine to get keys etc. 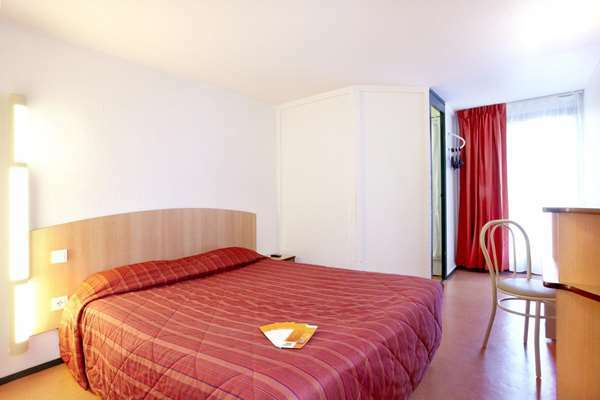 The rooms were as expected: clean and functional. There’s a slight design flaw in the refurbished bathrooms in that the shower curtain has to be either right outside the shower, making a wet floor, or completely inside the shower making a wet floor! The location is good- near the motorway and buffalo grill, McDs, Carrefour etc a short drive or walk away. 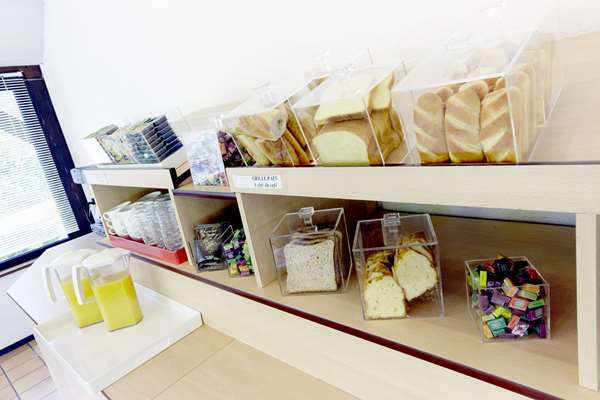 Breakfast was a bit of a disappointment in that it was only really baguettes, brioche, jam, juice, coffee and yoghurts...a piece of fruit or a croissant would have made it much better! 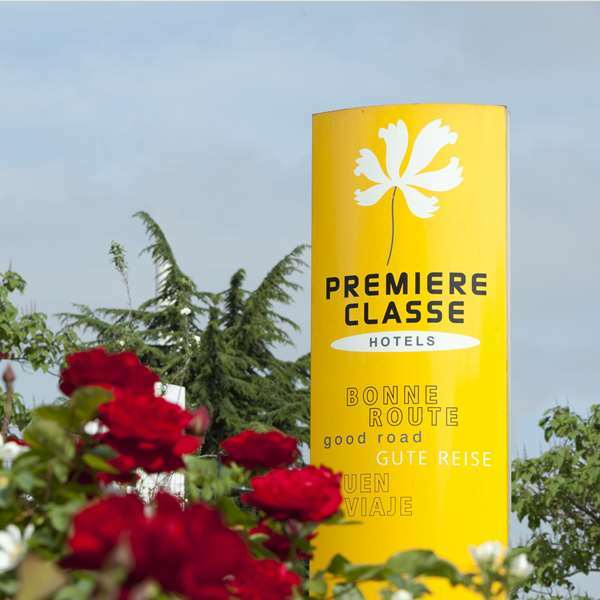 I stay in Premiere Classe motels three or four times a year, they are normally clean, small and basic which is what to expect for what you pay for the room especially when you book in advance on-line. Premiere Classe Rouen Nord however was a nice surprise, the room was large and the toilet/shower was a proper on-suite which looked to have been recently redecorated. My only criticism is that the walls are quite thin so you hear the early risers talking aloud and banging doors.but then again a small price to pay for a room of the quality and price. Usually our stay here has been excellent but the absence of breakfast until 8am (not 7am as advertised) made the morning difficult for timing. The breakfast was very poor with items missing or in very short supply. Many had to wait for basic items. It was not good enough on this occasion and needs toimprove.